A study published in the New England Journal of Medicine found that patients with stage 2 or stage 3 rectal cancer who received chemotherapy and radiation before surgery were less likely to have a recurrence than patients who received chemo and radiation after surgery. Researchers studied more than 800 patients with stage 2 and stage 3 rectal cancer. About half received chemo and radiation (chemoradiation) before surgery and the other half received chemoradiation after surgery. A patient follow-up four years after treatment found a clear benefit for the before-surgery group. Specifically, 6% of patients who received chemoradiation before surgery had a local recurrence, versus 13% of patients who received chemoradiation after surgery. Patients in the before-surgery group also experienced fewer side effects from treatment, like diarrhea and narrowing of the bowel where it had been reconnected after the tumor was removed. It allowed an increased rate of sphincter preservation in patients with low-lying tumors. The researchers also didn't see increased tumor progression in delaying surgery for the 12 weeks of pre-treatment and recovery in that group. The treatment given was radiotherapy five times per week for a total of 5040 cGy. The chemotherapy given was fluorouracil during the first and fifth weeks of radiotherapy. For the pre-operative treatment group, the surgery was scheduled for six weeks after the completion of the treatment. Both groups received a further four cycles of fluorouracil after surgery. 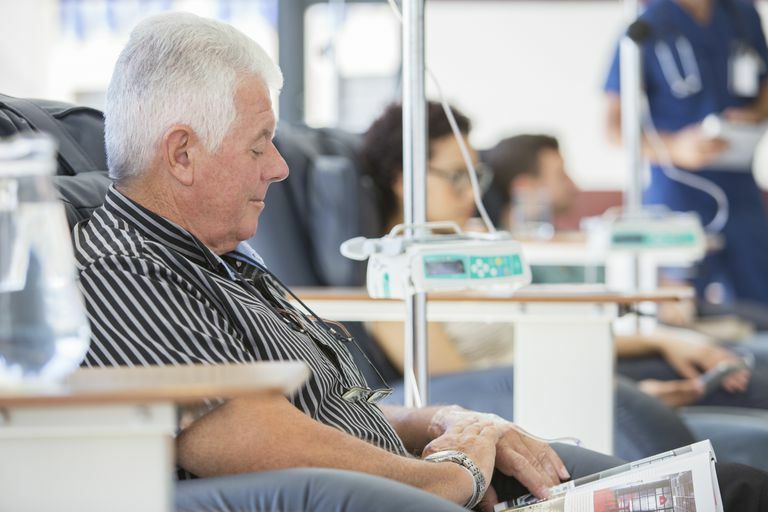 Although the timing of treatment made a difference for side effects and local recurrence rates, it didn't seem to make a difference when it came to overall survival or the chance that cancer would spread to a different part of the body. The distant recurrence rate was the same for both groups. If you're about to receive surgery for stage 2 or stage 3 rectal cancer, you may want to talk to your doctor about the possibility of receiving chemotherapy and radiation before surgery rather than after. According to this research, doing so could halve your chances of a local recurrence and improve your overall quality of life during and after treatment. Clinical Trial Results: Chemoradiation Before Surgery Helps Prevent Local Relapse of Rectal Cancer. National Cancer Institute. 26 Aug. 2006. Sauer R, Becker H, Hohenberger W, et al. Preoperative versus postoperative chemoradiotherapy for rectal cancer. N Engl J Med. 2004;351(17):1731-40. What Are the Causes of Rectal Itching?